H2O Concepts is the premier whole home water filtration system provider in the Phoenix Valley. They were amazing to work with and love the look and feel of their new site. We added a services area that allows their clients to view the services and products they focus on. Overall, the site is simple to navigate and gave H20 Concepts a brand new look. Animated water graphic on home page. 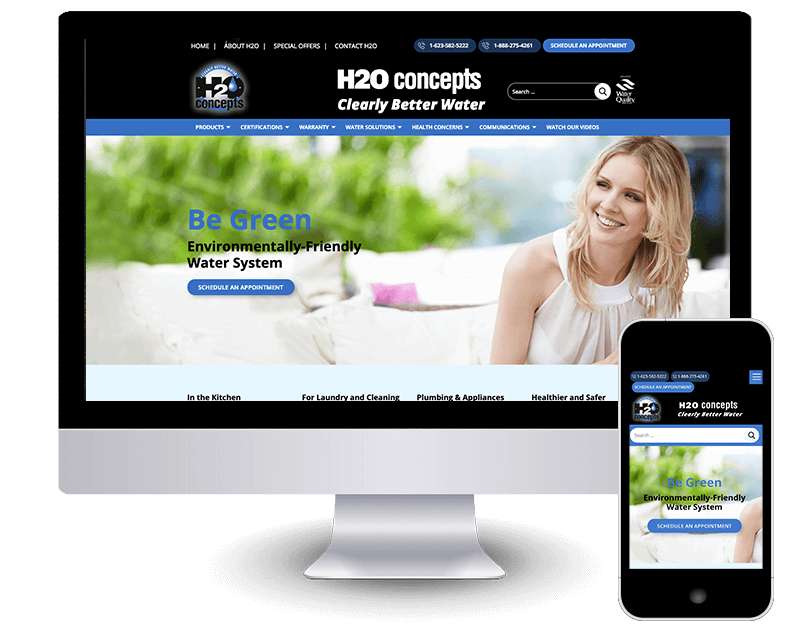 As many of our clients, H20 decided it was very important to have a responsive design for their website in order to retain as many visitors as possible. A responsive design is a website that adapts to any size screen on mobile devices such as laptops, tablets, and phones. To learn more information about our mobile responsive design services click here.